PORTLAND, Ore., October 11, 2017	(Newswire.com) - Tis’ the season! 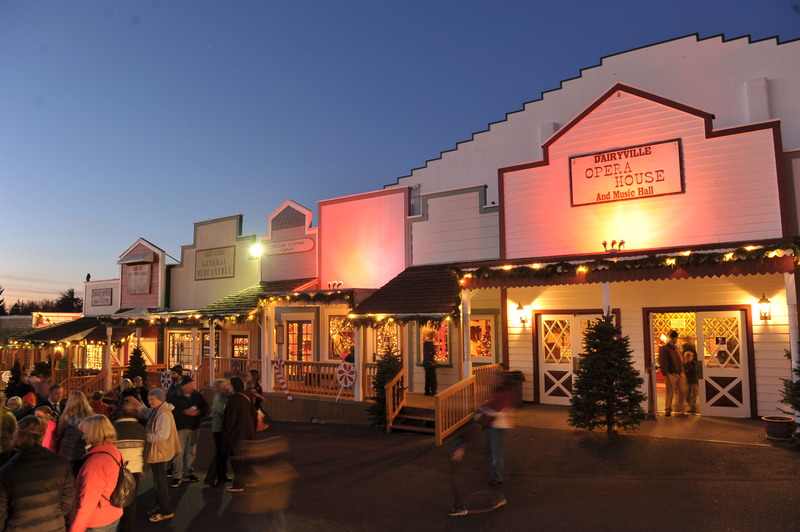 Winter wonderland fun returns, as Alpenrose Dairy prepares to open Christmas in Dairyville; Storybook Lane the first weekend in December. 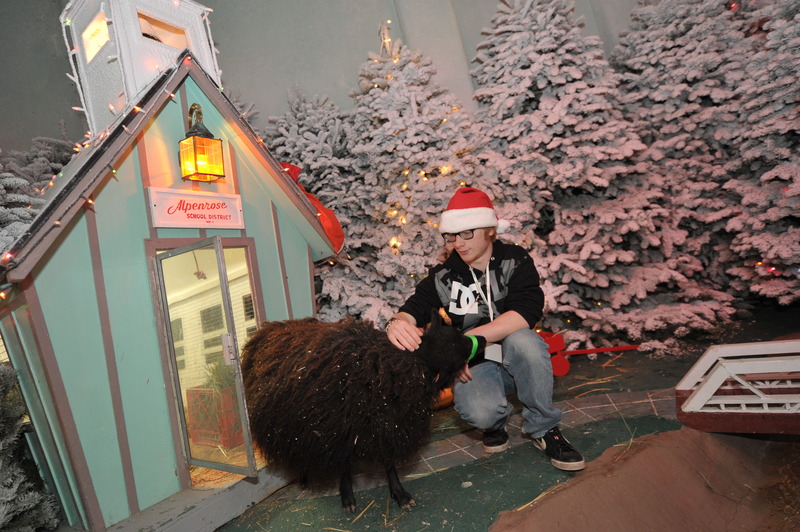 Alpenrose Dairy and the Cadonau family, along with the 4-H Discovery Farm at Alpenrose, open the gates to Storybook Lane on Dec. 1 and invite the community to experience this family-friendly holiday tradition. Christmas in Dairyville; Storybook Lane has been a Portland holiday tradition since 1961. 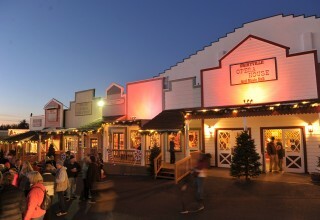 It is a winter wonderland filled with over 300 festive trees, live animals bringing to life various scenes in Storybook Lane, modular train displays, old-fashioned movie screenings in the iconic Opera House, dance performances, and carolers and choirs singing joyful songs of the Christmas season. You can stroll the vintage storefronts of Dairyville, stop by the holiday gift shop, enjoy a cup of cocoa or apple cider and treat yourself to homemade goodies from the bakery. Returning this year to Storybook Lane is the Mom Made Market. Visitors can enjoy on-site shopping and support local moms in business. And last, but certainly not least, stop by and see the big man himself, Santa! Whisper your Christmas wish and get your photo taken with him. Professional Santa photos will be available Dec. 1-3, 8-10 and 15-17 from 10:00 a.m. - 6:00 p.m. and Dec. 22-23 from 10 a.m.–5 p.m. Storybook Lane will not be open December 22–23. Santa photos will be available. Proceeds from various sales at Storybook Lane will benefit several charities throughout Oregon including local 4-H programs. They will also be accepting donations of new unwrapped toys benefiting local children in need and canned food for the Oregon Food Bank. Admission is free to Storybook Lane. For more information, visit www.alpenrose.com. Alpenrose Dairy is located at 6149 SW Shattuck Road in Portland. Alpenrose Dairy has been family owned and operated since 1916. For over 100 years, the Cadonau family has been committed to bringing customers the finest milk nature can provide. Alpenrose is committed to sustainable agriculture and bringing fresh, wholesome products to their customers. The Cadonau family is known throughout the Northwest for their commitment to the community. Providing year-round family-friendly activities at their legendary 52-acre campus with a stadium for little league games, opera house, and velodrome track.